I was seven years old when I first travelled overseas. 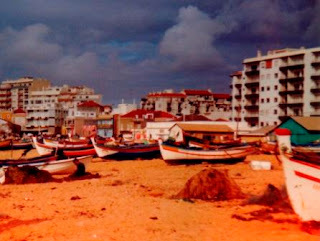 It was a short holiday to Portugal in the mid-1980s. And it was enough to persuade me that travel was a fine and exciting endeavour. 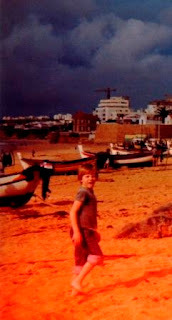 To this day I still have vivid memories of that first trip abroad. The sights, the sounds, and the smells are still etched in my memory. I remember the sandy beaches and the tall vertical walls of the cliffs along the coast. 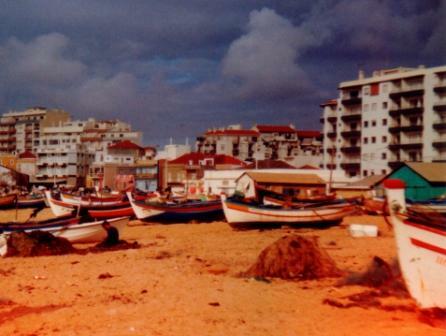 The brightly coloured wooden fishing boats. Suppers of grilled sardines and buttery boiled potatoes. The potteries and brightly tiled fountains in town squares. The deep red cast of the sunlight over the ocean at sunset. Orange trees. Old churches and chapels. Tall palm trees lining the boulevards of coastal towns, and the high, arid rocky scrub of the inland areas. The people too. All the various friends I made, fellow British holidaymakers, and local Portuguese alike. It was my first journey on an airliner. My first experience of that ear-popping descent which resets our senses ready for new experiences, the first thrill which never fades of looking out of an aeroplane’s window as it comes down to land in a place to which we’ve never been before. The jolting bump and screech of the aeroplane’s tyres as they touched the runway was but the first of many such landings. And, in starting to think back over my travels here, it seems only right to begin with this, the first of those trips. I've since travelled to several different parts of Europe – Spain, Italy, Germany, France and Greece, to name a few. Many parts of Asia too – China, Japan, Korea and Vietnam. America. Egypt. And also more remote parts of the world, some I’d only touch down in, others where I’d stay a while – Alaska, Guam, and Azerbaijan. It seems fitting then that whilst staying in the Algarve, the southernmost part of Portugal, we visited the windswept point of the Cabo de São Vicente, Cape Saint Vincent, with its sentinel lighthouse, the most south-westerly point of Europe – the place which the Ancient Greek Geographer, Strabo (64 BC-24 AD), believed was the most westerly point of the known world. A little further along the coast to the west is the Forteleza de Sagres, built in the 15th century on the high flat promontory of the Ponte de Sagres, the site of a famous navigation school – although it is thought to have largely been destroyed either in the 16th century during raids conducted by Sir Francis Drake, or, more likely, during the Great Lisbon Earthquake of 1755. The Forteleza de Sagres is thought to be the place where Prince Henry the Navigator (1394-1460) taught navigation, perhaps using the still extant rosa dos ventos, or wind compass, a 43 metre stone circle, initiating the Portuguese ‘Age of Discoveries’. This was a place in which learning and art combined in refining the skills of cartographers, navigational instrument makers, and master mariners alike. I remember it as a bleak and wind-blasted place, high on a headland. Looking out from the walls, it was easy to feel the allure of setting out into that vast expanse of ocean, the great unknown of the heaving grey-blue waters of the Atlantic – as had Christopher Columbus before he set out on his most famous voyage of discovery. Perhaps, as the memory of this stark and desolate place has long haunted me, perhaps it was this place too which launched me on my own personal voyages?